The Massachusetts Life Sciences Center plans to give $1 billion over the next ten years to invest in Massachusetts’s life sciences industries. Governor Deval Patrick has made life science funding in Massachusetts a high priority. So far this year, the Massachusetts Life Sciences Center has announced over $9.35 million in grants to life science projects in the Boston area. Biotechnology vendors and lab suppliers in Boston will find a great deal of lab sales leads at Harvard University, especially taking into consideration this $5 million grant and the latest NSF and NIH research funding statistics. 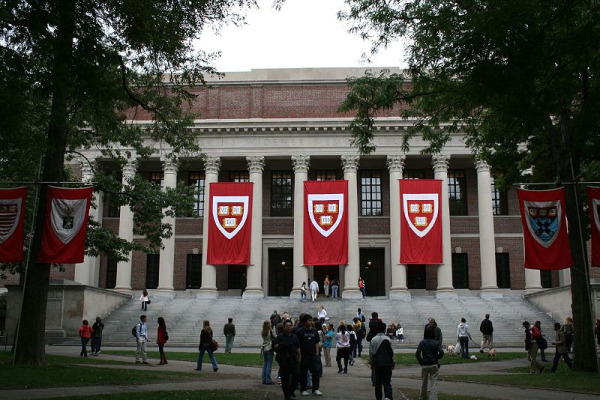 In 2012, the NSF gave Harvard University $55.3 million in research funding. The money was distributed among a number of projects in the science research field. These programs of study include bio informatics, molecular biophysics, evolutionary processes, ecosystem science, systematics and biodiversity science, population and community ecology, developmental systems, cellular dynamics and function, and genetic mechanisms. In addition to Harvard University receiving NSF research funding, the NIH website says it awarded Harvard University $392 million in research funding in 2012. The funding was distributed among a number of different departments at the university, including anatomy and cell biology, biochemistry, biology, biomedical engineering, biostatistics, internal medicine, microbiology and veterinary sciences, to name just a few. Given these latest research funding statistics, lab suppliers may be interested to know that life science marketing events that are held at Harvard University help increase lab sales leads in Boston. Biotechnology Calendar, Inc. invites all biotechnology vendors to meet lab managers, science researchers and purchasing agents at our Boston BioResearch Product Faire™ Event. Biotechnology Calendar, Inc. is a full-service life science marketing events company that organizes trade shows at top research universities across the country. For more information on our Boston BioResearch Product Faire™ Event, or to view more funding statistics for Harvard University, click on the button below. If you’d like to obtain lab sales leads at life science marketing events in research markets closer to home, we encourage you to check out our 2013 calendar of events.